Sunset on Lake Colby: This small lake just outside the Village of Saranac Lake is especially peaceful at sunset. 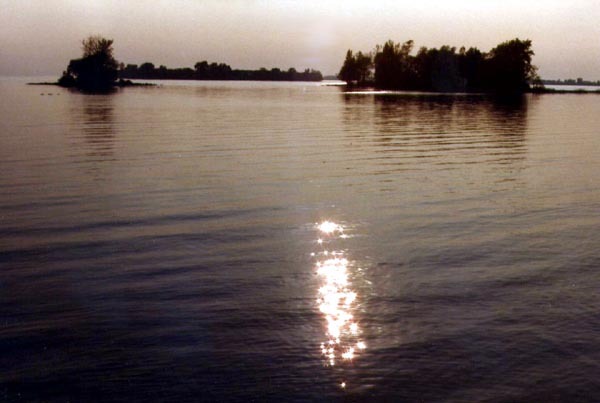 During a summer day, it can be packed with swimmers trying to cool off. The Adirondack Guide: In the nineteenth century, only the well-to-do had the means to vacation in the mountains. They were escorted by a guide, who paddled the boat, cooked the meals, skinned the hides, and entertained his guests at the evening campfire. 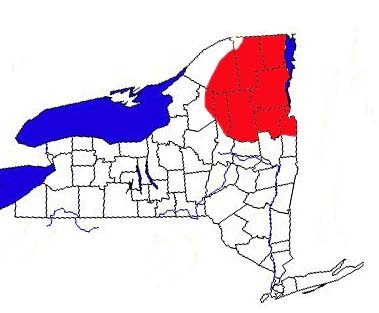 Wilderness is not often associated with New York State, or, for that matter, anywhere else in the eastern United States. 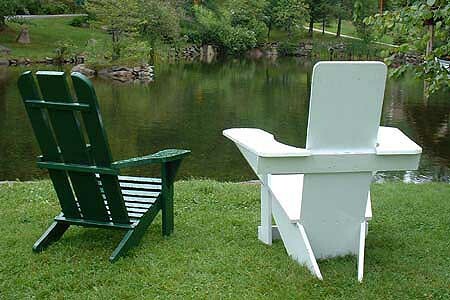 But, sitting proudly in the northeast corner of the state, lie the Adirondack Mountains. It is one of the largest parks in the country, bigger than Yosemite, bigger than Yellowstone. 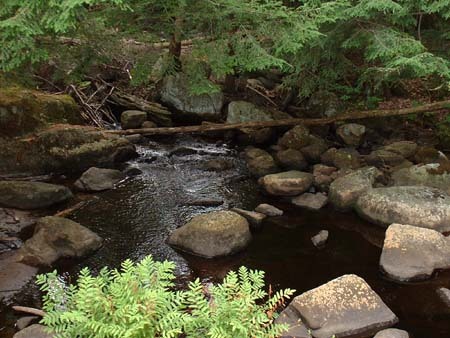 When it was created in the late-1800's, the purpose was to protect the forests of the Adirondacks, and the watersheds that begin there (the Hudson, the Mohawk, the Black, etc.). This great resource was almost lost. Most of the virgin forests had been cut down, or burned down in fires caused by steam locomotives. But there was hope. The voters of New York wisely decided to keep the Adirondacks "forever wild," a rallying cry now for over a century. The forests gradually returned, and a very special place was preserved. Or was it? The Adirondack Park is a strange mixture of state-owned forests and privately-owned commercial zones. You can climb one of the High Peaks in the morning, and eat at Burger King for lunch. You can shop in Old Forge and canoe Second Lake in the same day. The full-time population of the park is a little over 100,000. But in peak season in the summer, or on a nice fall weekend, the tourists flock to experience nature. Lake Placid, Lake George, and Inlet have traffic jams and the parking lots for the more popular trailheads are packed. Like the more famous parks of the West, are the Adirondacks in danger of being "loved to death?" As a geographer, you should be ready to observe the delicate balance between preserving wilderness and catering to a tourist-based economy. There are many ways to experience the Adirondacks. There are several good highways that criss-cross the park. The scenery is spectacular, even from the car. But you need to get out and walk! And I don't mean walking the shopping district of Lake Placid (even though it is a very interesting geographic adventure in its own right). You need to get out on the trails. Maybe climbing Mt. Marcy (the highest point in New York) is not for you. There are many short trails throughout the Adirondacks that are guaranteed to restore your spirit. They are mentioned below. The waterways of the park have their own special charm, and you should get out on them, too. 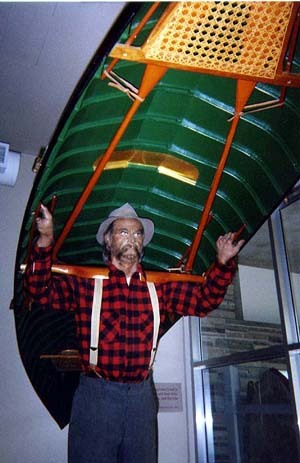 Canoe, kayak, or paddle-boat, it doesn't matter. Just do it! 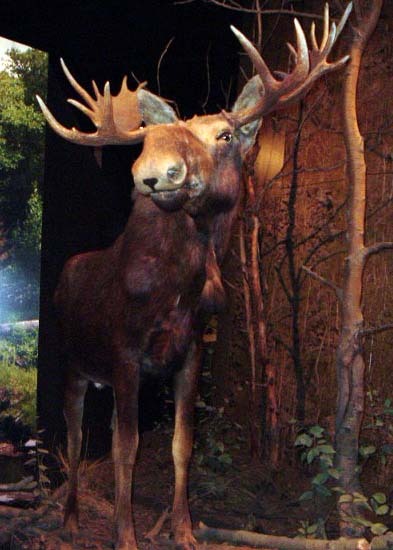 There are a few facts about the Adirondacks you need to know for the journey begins. First, the mountains themselves are very unique. They are not, as many people believe, part of the Appalachian chain, but they are actually an extension of the great Canadian Shield. The rocks that make up the mountains are very old, over one billion years old, to be more exact. They were the roots of ancient mountains, and they were compressed by the collision of plates. Only recently, starting a few million years ago, the land began to rise. And it is still rising! This means that the Adirondack Mountains are a paradox of sorts. The mountains are young, and the rocks are ancient. 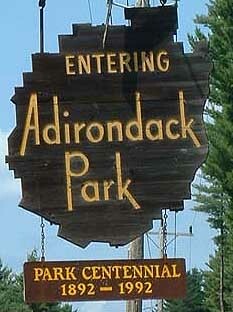 You are now ready to travel through the Adirondack Mountains. Follow this link to find out "What You Should See."